Le Sirenuse "Diana" gown with flower and sea life embroidery. Band trim at high waist. After launching the Le Sirenuse Positano collection in the summer of 2013, native Italian Carla Sersale traveled to Mumbai to collaborate with her niece Viola Parrocchetti. Together, they designed the collection's signature look of fresh caftans and silk dresses inspired by the colors of Positano and the patterns of Central Asia's Suzani textiles. For in-store inquiries, use sku #2073887. 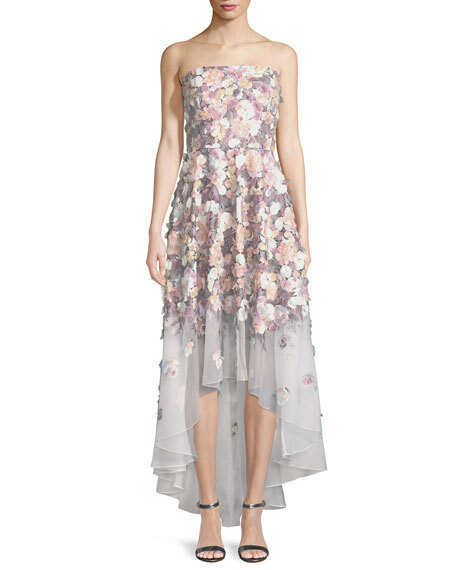 Badgley Mischka hand-painted organza gown with 3D petal embellishment. Strapless neckline. Nips in at waist. Pleated A-line skirt. High-low hem. Hidden back zip. Silk; silk/spandex lining. Made in USA of imported material. 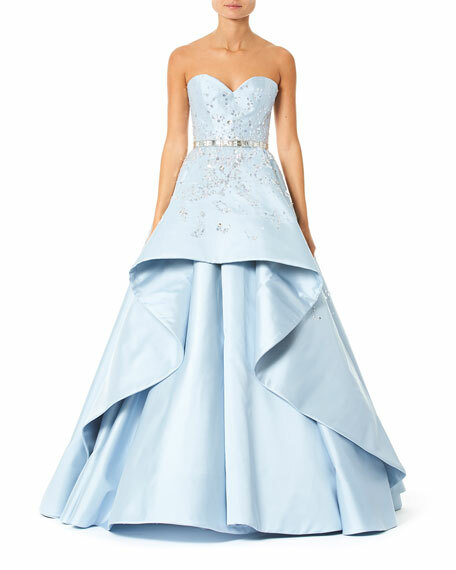 Carolina Herrera gown in taffeta with sequined appliqué. Strapless sweetheart neckline. Jeweled band at waist. Cascading peplum front. Voluminous skirt. Floor-sweeping hem. Back zip. Silk. Made in USA. 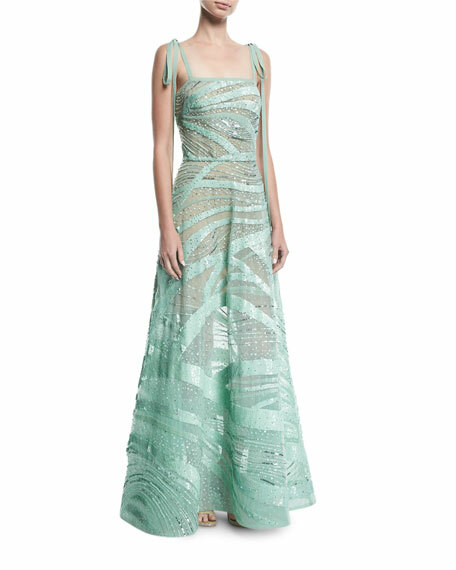 Elie Saab beaded gown with satin stripes. Square neckline. Straps tie at shoulder. Nips in at natural waist. A-line silhouette. Back godet train. Hidden back zip. Nylon/polyester/silk/cotton. Made in Lebanon. Exclusively ours. 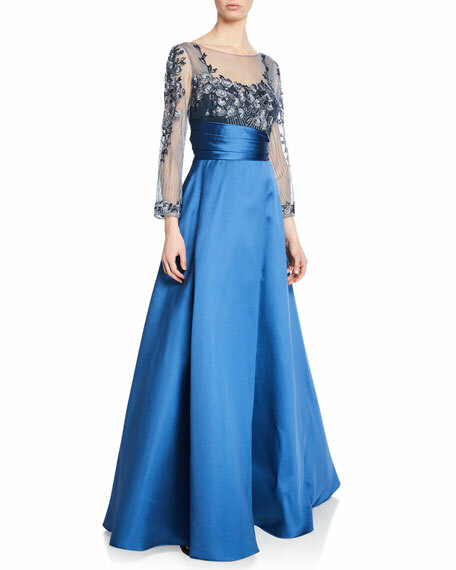 Marchesa Notte mikado ball gown with 3D floral embroidered bodice. Bateau neckline; sweetheart illusion; scooped back. Sheer bracelet sleeves. Asymmetrical waistband. Ball gown silhouette. Floor-length hem. Hidden back zip. Polyester/silk. Made in Italy.